Great white attacks shark cage off Guadalupe Island, Mexico. After this photo was taken the shark got stuck and proceded to destroy the cage before it finally managed to free itself. 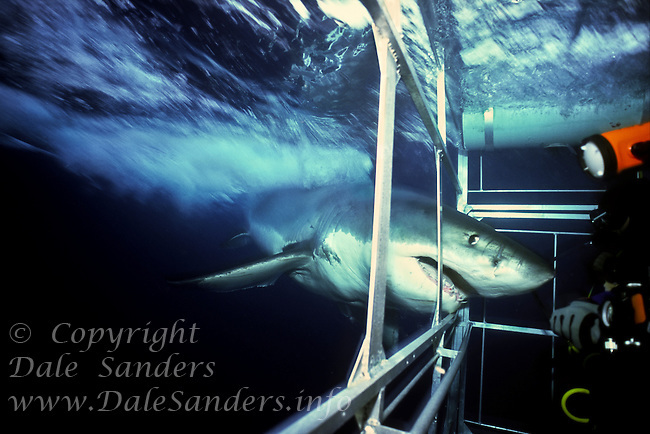 Photo Copyright Protected © Dale Sanders / www.dalesanders.info All Rights Reserved Worldwide.